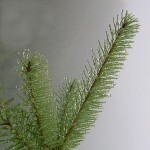 It’s main composition is monoterpenes (beta-Pinene, alpha-Pine, 3-Carene, Sabinene and Camphene). Fascinatingly, it’s composition is particularly rich in beta-Pinene, which is a top constituent in Lime and Lemon essential oils, with other monoterpenes that are usually more represented by wood essential oils. This unique tapestry of chemistries contributes to its woody, lemon-scented aroma as well as its uplifting and renewing properties with a high ORAC value. Try blending it with Frankincense, Juniper Berry, Cypress, Grapefruit, Vetiver, Bergamot, Cedar and Wild Orange. 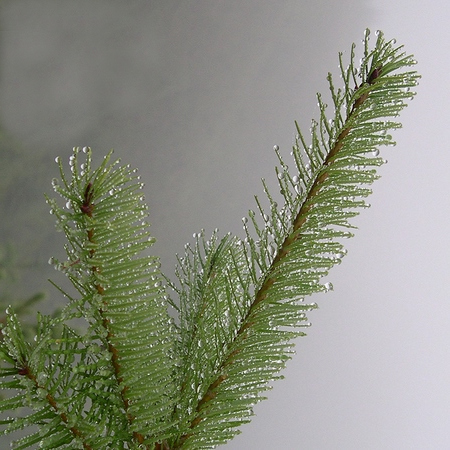 Like all tree oils Douglas Fir is grounding. The Essential Oil is soothing to muscles (or joints) that have been overworked or are tired after exercise. You can also use it in a sugar scrub for a purifying experience. Also if you can not go for a tree bathing session you can mix it with other tree oils in the diffuser for a home experience. It will provide stabilization, grounding and security to our physical and emotional being. It affects the solar plexus chakra, and will help you feel empowered and promote action for implementing your vision. I host classes and support groups where you can learn, play and experience the oils, their power and effectiveness. Contact me for more information.